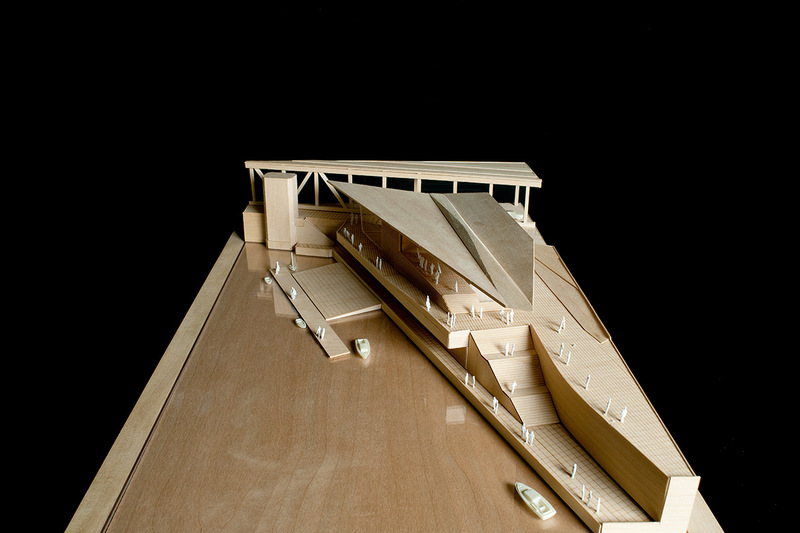 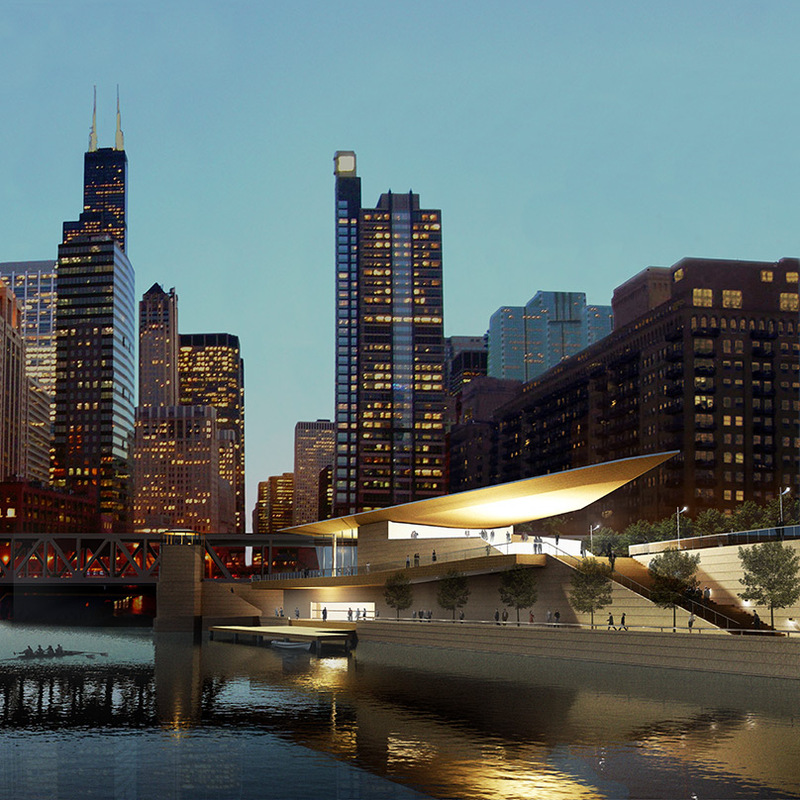 Designed for a public park along the Chicago River, the community Boathouse accommodates kayaks, canoes, and rowing shells. 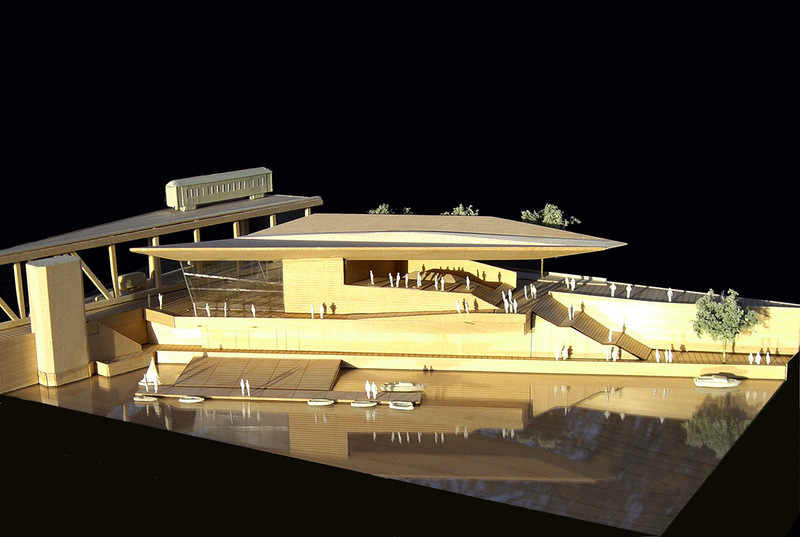 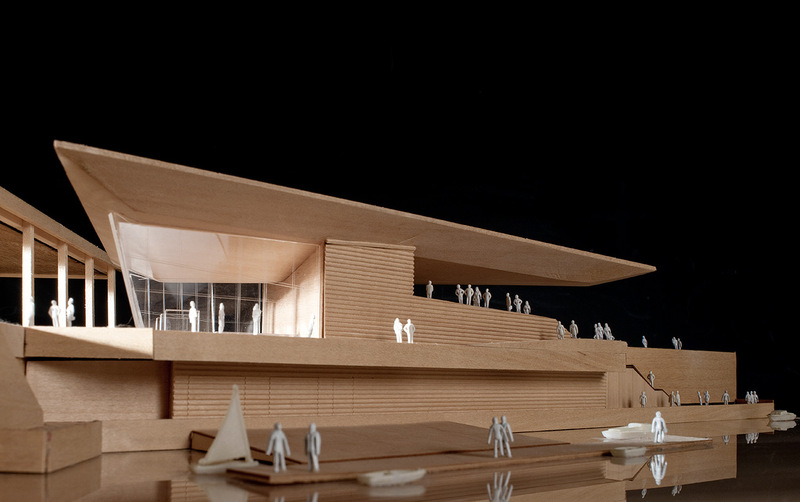 The Boathouse also provides boat storage, locker rooms, a multipurpose gathering space, staff offices, and an elevated, covered observation terrace. 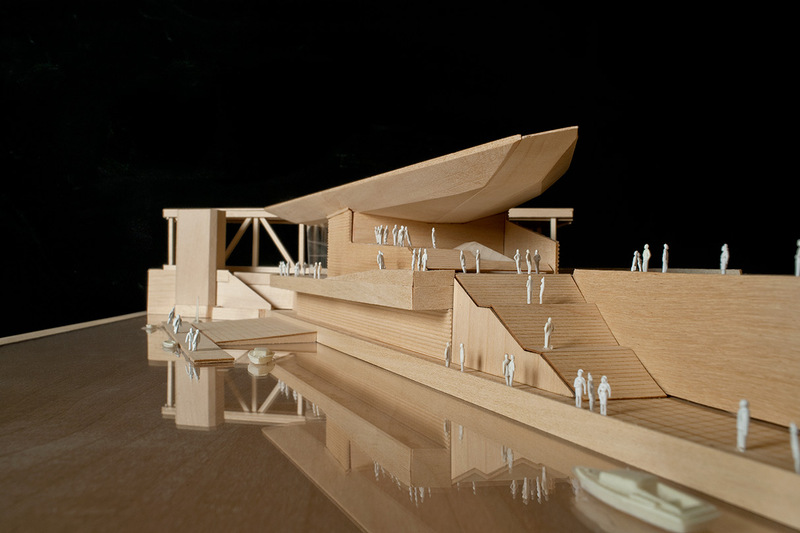 The shape of an oar blade inspired the building’s streamlined, sweeping roof design.